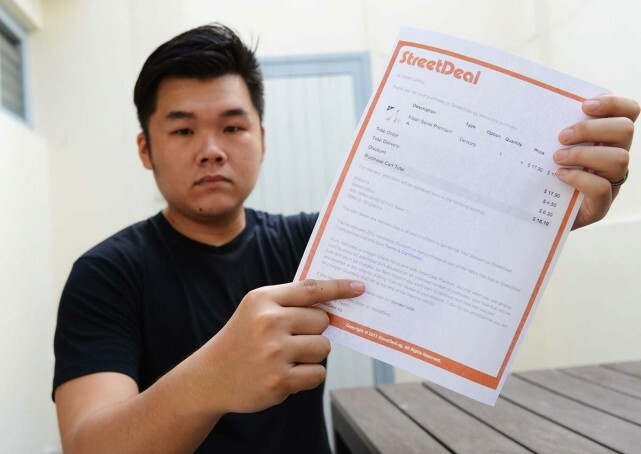 The latest case of a scam isn’t thanks to Jover Chew or some dodgy website with a less-than-traditional website name, but StreetDeal.SG — a Singapore-grown e-commerce and voucher website. The site, which seems to operate with legitimate products and vouchers, has lately been accused of hiding additional subscription costs. As reported by MyPaper, Singaporean Smith Leong unknowingly paid an additional SGD88 when he purchased a pair of drumsticks for $16.40. When he approached the firm, he was told that the costs were outlined during the purchasing process and in the terms and conditions, and that the $88 was a premium membership fee. This is far from being the first accusation StreetDeal.SG has received regarding hidden additional costs. According to MyPaper, CASE has received 49 complaints against StreetDeal since January last year. It was also fined $25,000 in September last year for carrying travel deals illegally on its website without a valid travel agent licence. But was StreetDeal.SG in the wrong? A quick test of the portal was very telling. While the final charges don’t include the SGD88, the membership fee was shown on the purchase page — but hidden in plain sight. The option for premium membership was automatically checked, and given the design of the website, seemed to be placed in a location that people naturally glance over. If I weren’t actively looking for the charge, I would have easily missed it. To get out of paying for that charge? Simply untick that tiny blue box. If you find it hard to find, don’t worry — the website was designed that way. You can choose to cancel your membership or opt out of the Services at any time by clicking the cancel button in Your account. You will not receive a refund of the membership fee, but you will keep any awarded StreetDollar in your account until they expire. If we issue you a refund, your membership awarded StreetDollar will be removed from your Account. 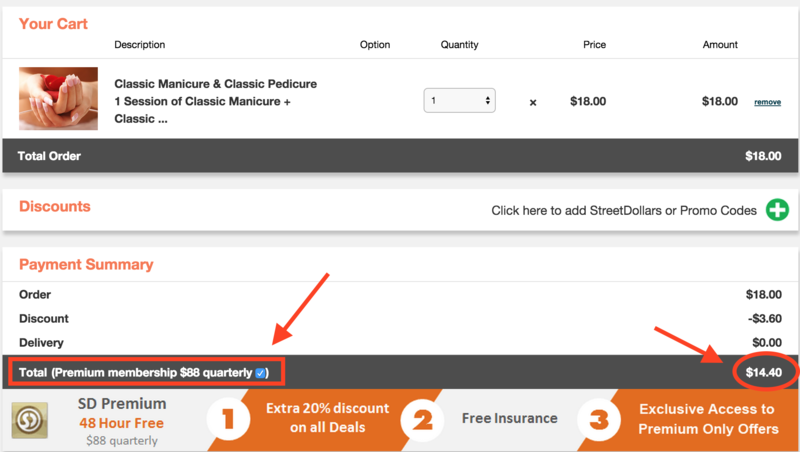 Ultimately, the success of the StreetDeal fiasco is largely thanks to the clever design of their purchase page, and serves as a lesson to website designers and advertisers about how parts of a website can be practically invisible to users. 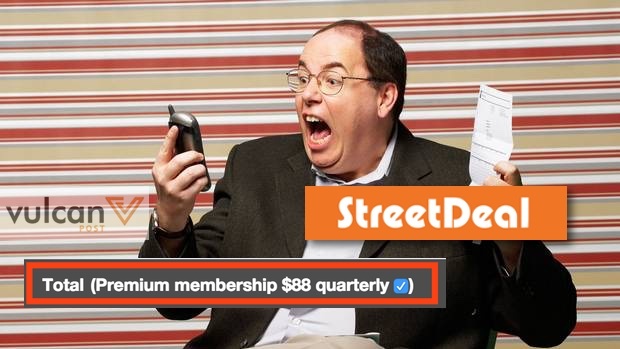 But as clever as StreetDeal may have been with their design, their customer retention will need work. With 49 complaints under their belt and a Facebook page with over 600 likes for people who have been cheated by the site, it’s unlikely to become the next Groupon or Lazada.